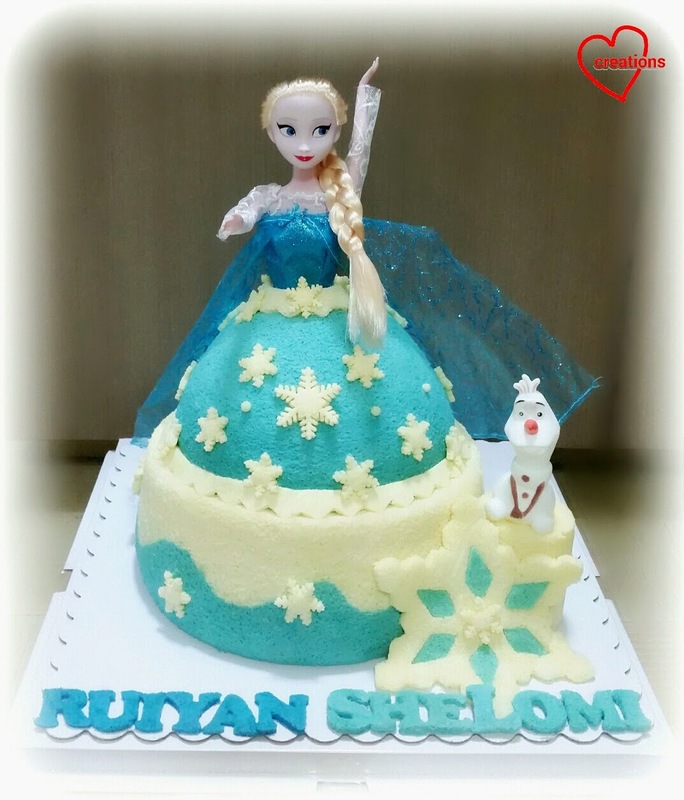 This Elsa Doll Chiffon Cake with Olaf was made for a very dear little Lormee (Shelomi)'s One-derful birthday! 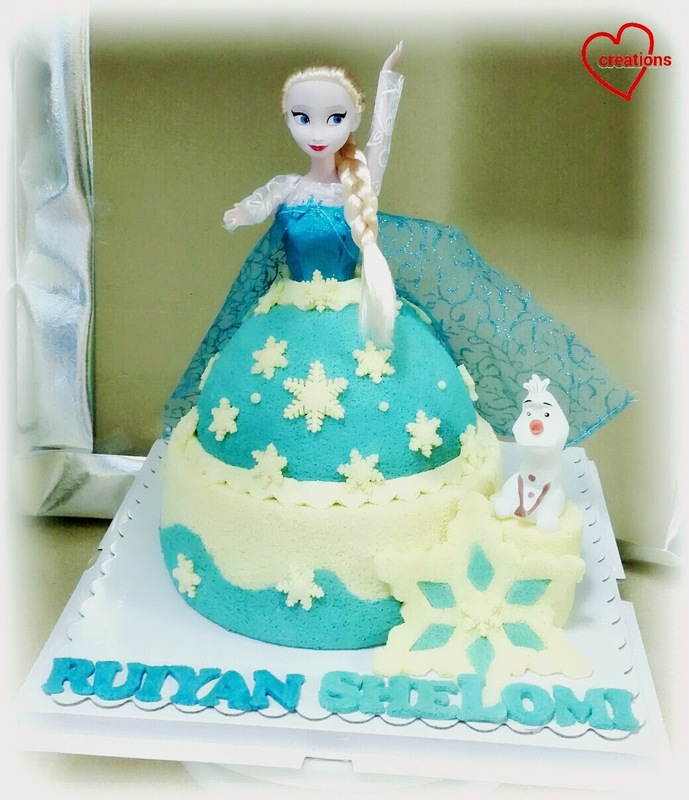 It was a joint birthday celebration with her cousin, hence both the beautiful Elsa and the cute little Olaf on the cake hehe. I thoroughly really enjoyed designing Elsa's dress though there were some engineering and baking hiccups along the way! I made a cascading snowflake train behind. And made the arms in outstretched in her classic Frozen action for fun :p. I made cute little Olaf sit beside her on a little snow swissroll log with swiss meringue buttercream. 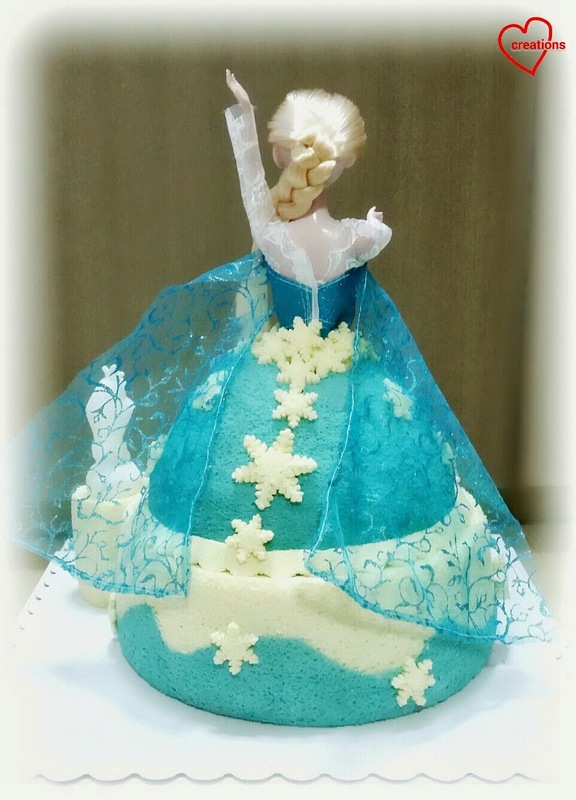 I baked the Elsa’s beautiful skirt in my new doll cake tin (I shared I have a weakness for cute tins :p). When I first saw it, I got excited because it had a centre tube hole in the middle like a chiffon tin. My gut feeling told me it was good for chiffon cakes, and it was! Very similar in texture and unmolding technique is exactly the same. The batter and baking time is similar to a 9-inch chiffon cake (15 min at 160°C and then at 150°C for 15 mins and 140°C for 30-31 min.) I only had a huge problem with the height of the tin which was very tall, almost close to the top of the oven, so the chiffon cake was too close to the top and browning was a problem (had to rebake it with another oven *sob*). I also used blue pea flowers for this bake and but divided the batter into two (plain and blue pea flowers) instead of four. I made a ‘ice berg’ belt and skirting with white vanilla chiffon cake. This part was the rather tedious part as the pattern was cut manually. Remember to clean the doll and clingwrap the bottom of the doll so that is not soiled. Thank God the cake was well-received, my friend shared it was beautiful and the center of attraction :). 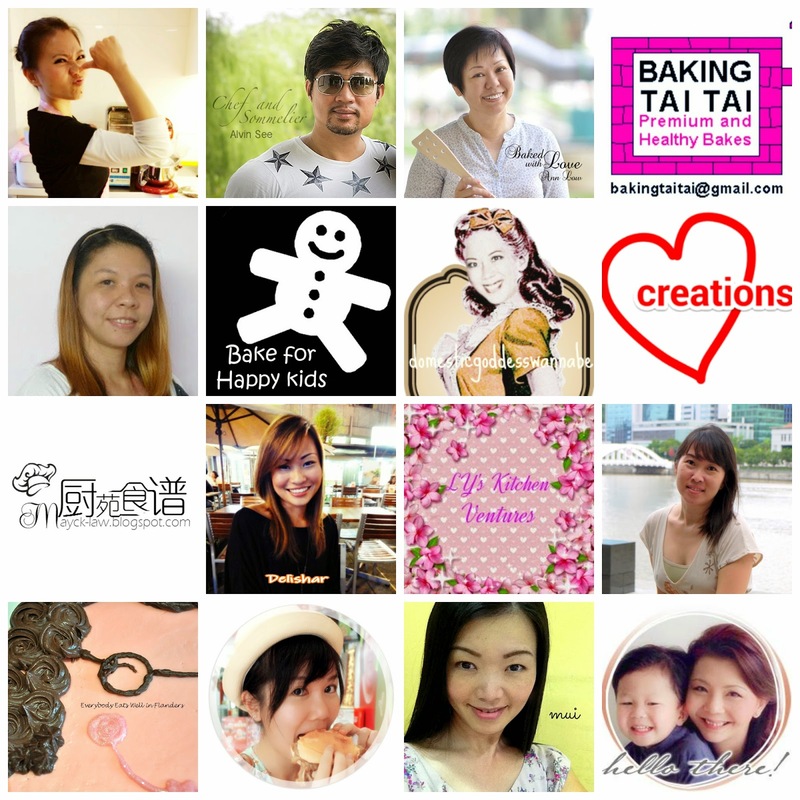 Happy Blessed One to Shelomi (and Four to and Ruiyan)! Thank you for sharing ! Where can I buy the doll cake tin?